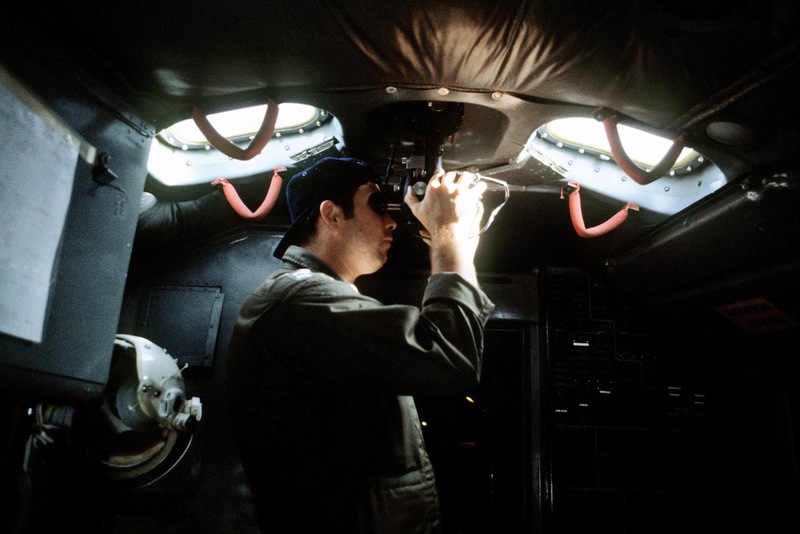 KC-135 Crewmember taking a sextant reading, view looking aft from pilot and copilot seats. Retired now. Starting to pick up some habits I very much enjoy. I get up early as usual. My wife is a late sleeper. That is, she does not get up at 5 am. I make the coffee, grab the newspaper, and head to my mountain-facing second floor deck to enjoy the spectacle of dawn. Give me some quiet time and I am bound to wax philosophical: Perhaps part of Purgatory is not only to purge sinfulness but also to help us remember how to slow down and enjoy the wonders of creation all around us? If so, I am getting a head start. I do find it hard to sit still and take in the joy and beauty we are bathed in every day. So, practice makes perfect. This morning, at 6pm, dawn is still a far piece away and the sky is clear, black, and peppered with stars. My eyes fall on Venus, The Morning Star. Also, the Evening Star, as it stays close to the sun, at all times traveling in an orbit smaller than our Earth. The atmosphere of Venus does a good job of reflecting sunlight. That is why Venus is easy to point out at dawn and as the sun sets. The Blessed Virgin Mary is often referred to as the Morning Star. I suppose because she points to the Son? So, taking inventory, Venus is well-behaved, staying in its proper course. Next. To the left is a large bear, the big dipper. It points to the North Star, a fixed point in the sky that tells us where north is. All the stars spin around the North Star in their courses above. The big dipper might be spilling its milk or holding it, depending on when you see it. But the edge of the scoop always points to the North Star. To my right is Orion, the Hunter. He is sometimes compared to Jesus. Being all the way over there, the Hunter traverses a lot of sky as it circles the North Star. And then there is the Japanese beer, but pronounced Or-e-on. The Belt of Orion is its distinctive feature and was featured in the movie “Men in Black”. Big Dipper, North Star, Orion, present and accounted for. Even our artificial satellites have their fixes courses as they swing around the Earth, the lower visible ones making a full circuit in 90 minutes. Check. Satellites are where they should be. So the stars and other heavenly bodies are fixed in their courses, today as always. With all his technology at the time, even Galileo was stumped when asked about the stars. “If the Earth circles the Sun, as you say, dear sir, then why do the stars not seem to move relative to each other as we see down here as we move about?” If only he had said “Because they are so very, very far away” it would have saved us all a great deal of trouble over the years. Instead, he could not resist the human urge to wax poetical and religious about our place in the universe. He was not the first or the last scientist to believe that the stars in their courses had something to say about our human condition. Everyone has that urge. Is our fate written in the stars? Perhaps in some ways. We certainly look to the stars and place much more than just our religion up in the sky. We even mourn and rejoice when little Pluto is demoted or reinstated as a planet, as if he were a 3rd grader who got cut and then made it back on the softball team. It is true that, if you can pinpoint the location of the Sun, moon, planets or stars, and you know the time, you can figure out where you are and where you are going. In the period I flew the KC-135 Tanker, we used a sextant to tell us where we were as we traversed the massive Pacific Ocean from California to Japan. We really wanted to find our landing base on Okinawa, because overshooting would take us to Red China. Those folks are not known for their sense of humor about unannounced US Military Aircraft. If we did wander off of course, the fault would not lie in the stars, but in ourselves, to paraphrase Shakespeare. Now we have the artificial satellites, the GPS craft, that stay firm in their courses. They are traveling at speeds that require relativistic equations to unlock their information so they can constantly tell us where they are at and where we are at. There must be something metaphysical in that situation. I’ll ponder it as I sip my coffee. In any event, it is nice to contemplate that the stars in their courses were placed there at least in part for us little humans to marvel at — and sometimes use as needed.